We also offer an “Exclusive Use” option whereby the entire complex can be reserved for your exclusive use. Please contact us for pricing and availability. Our pricing system is based on number of guests attending. You will be provided with the most suitable room for your requirements. 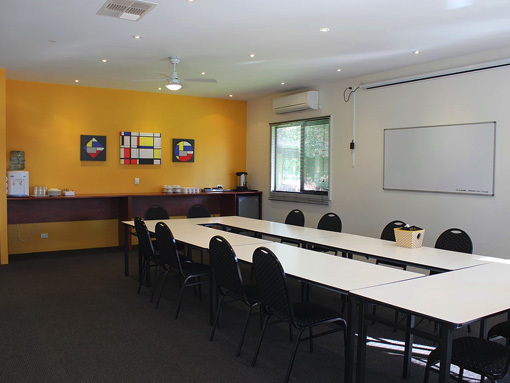 Room Hire includes: complimentary tea and coffee on arrival, whiteboard, markers, flip chart & limited paper, filtered water and electrical cords & boards. Wi-Fi is available for all guests to use free of charge. Break-out area, which is a timber deck, with an access ramp for the disabled. 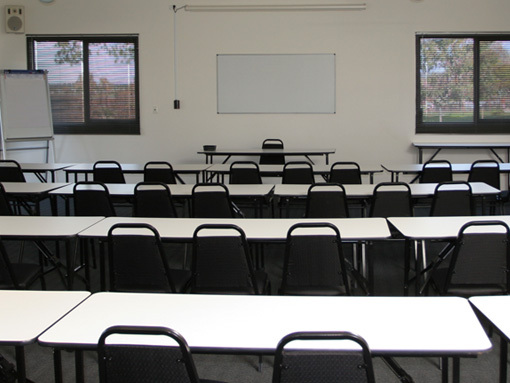 2 separate rooms with a large central table and an electric whiteboard. There is a bench with fridge, water cooler, coffee & tea making facilities and flip-chart easel. These spaces have venetian blinds, views to the car park, downlights, reverse cycle air conditioning and a ceiling fan. A separate mud brick building adjacent to the external courtyard. Originally an arts and crafts studio, the building has an area of approximately 96sqm and has a lot of character with timber support poles, timber ceiling with a raised glazed roofline, and ceiling fans. 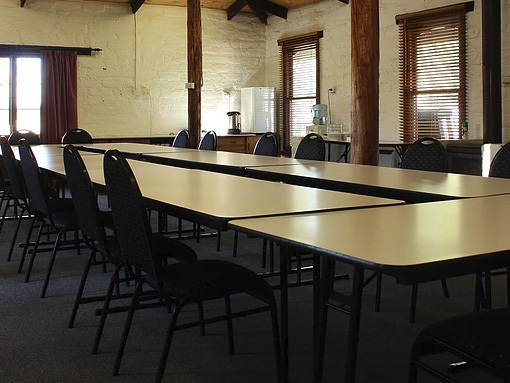 Contains trestle tables, side benches, upright piano, wood heater, whiteboards, coffee and tea making facilities, flip-chart easel, curtains, timber venetian blinds and double exit doors to the courtyard.